Try singing the title. Try singing the title to the tune of a Beatles song. Too much of a stretch? Oh well. While my cows were busy gently eating grass I closed them out of the feedlot. That gave me a chance to break the ice out of the water tubs and refill them, move the hay ring around a fresh bale of hay, leaving the remainder of the bale for the cows to munch on, lay on or whatever. Mostly what is left of the old bale is hay they rejected so it should be pulled aside and composted but they later seemed to enjoy rubbing their polls on it and munching a little bit here and there so…whatever. I also decided bed the dickens out of the barn. We started, again, with six loads of sawdust. When I say “we” I mean dad and I. He ran the tractor for me. With the loader tractor we did as much work in about 4 hours as we would have done with a wheelbarrow in about four Saturdays. 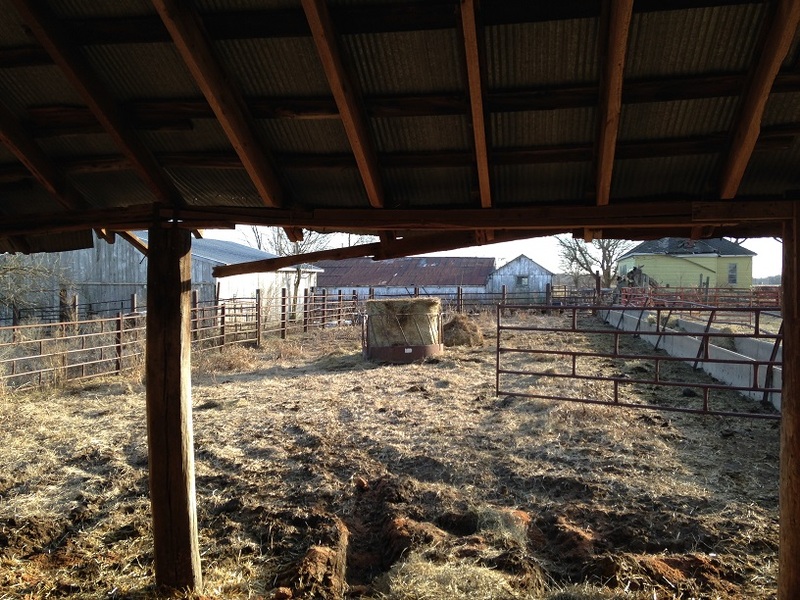 The jack barn is full of round bales of straw that are at least 20 years old. They have been burrowed into by all sorts of critters and aren’t bales anymore, just piles in roundish shapes. I even saw a coyote bedding down in there last winter. Dad and I started hauling out load after load of straw from there. Yeah, I guess it is. But let’s talk about bedding here for a minute. Each year I buy two truckloads of sawdust (totaling $270 tops) and 100 bales of straw (totaling $150). So for less than $500 I get all the bedding I need for cows, pigs, brooders, greenhouses, horses, composting toilets…you get the idea. Proportionally speaking? Yes. So let’s talk about that a little bit. Why am I bedding the cows so deeply? (Horses too for that matter…) I’m doing it because I want dry, clean, warm livestock what don’t have to smell the ammonia they produce. I’m also doing it because I want to add value to my straw and sawdust. That’s right. I said it. And I’ll say it again. Poopy sawdust is worth more than clean sawdust. Just ask my pastures next summer! 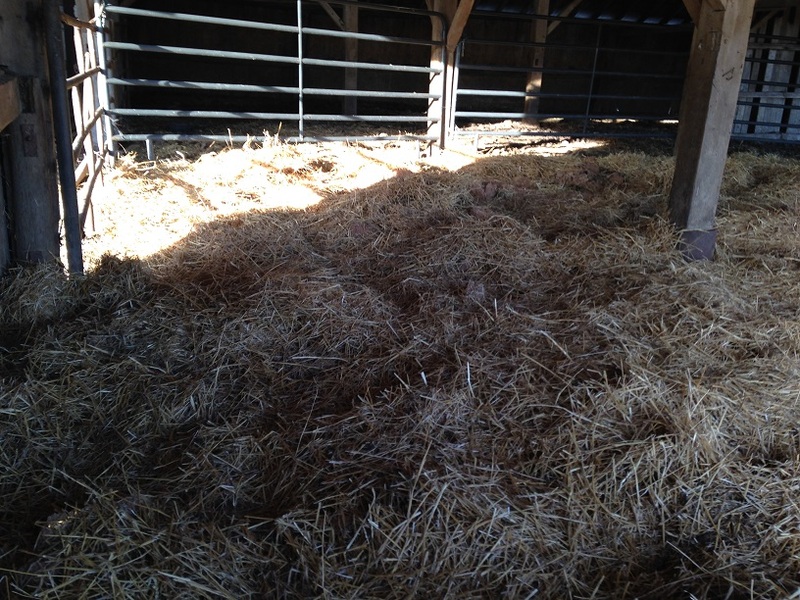 Leaving the straw sitting unused in the barn shows that I misallocated capital in acquiring that material. Actually using that material for its intended purpose is…well…what you’re supposed to do…and the faster I turn that inventory the better! Why buy the straw if you’re not going to use it? But wait! There’s more! The more manure I can pack into this bedding the better. So why am I building it up so much? Why am I stacking it so deep? I mean, if I’m not careful the cows will be rubbing their backs on the beams. So please don’t be concerned that I’m being wasteful with my bedding. I’m not. The cows have a thick, fluffy bed/toilet but there is more. The reason I’m putting so much down is because I’m building additional capacity into our bedding so I can keep my pigs here in a few months. 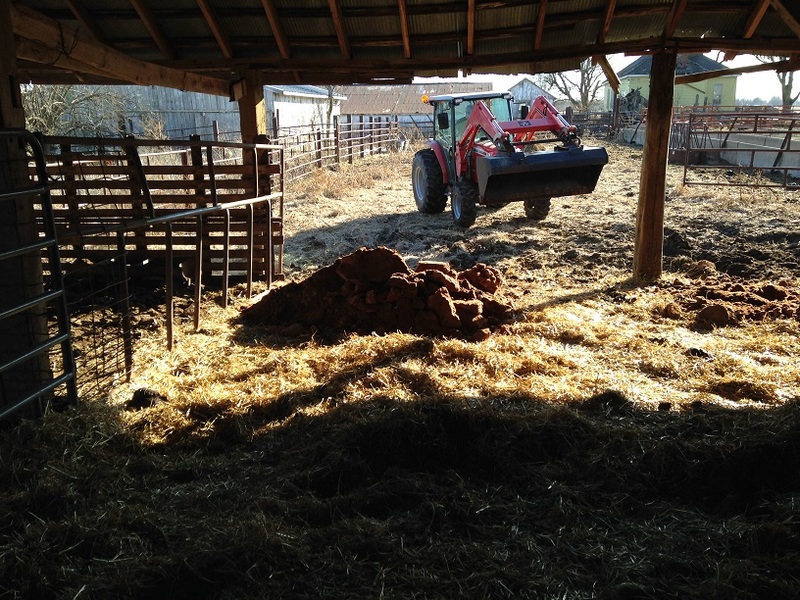 By mixing pig manure into my cow bedding I’ll broaden the nutrient spectrum of my future compost while also aerating it by way of pig noses…adding even more value to the straw and sawdust. And by the time we are finished with the pigs in the barn we will also be finished brooding chicks in the spring so I’ll have that spectrum of fertility to add to the mix. Top that off with a little dose of lime and we have a winner. 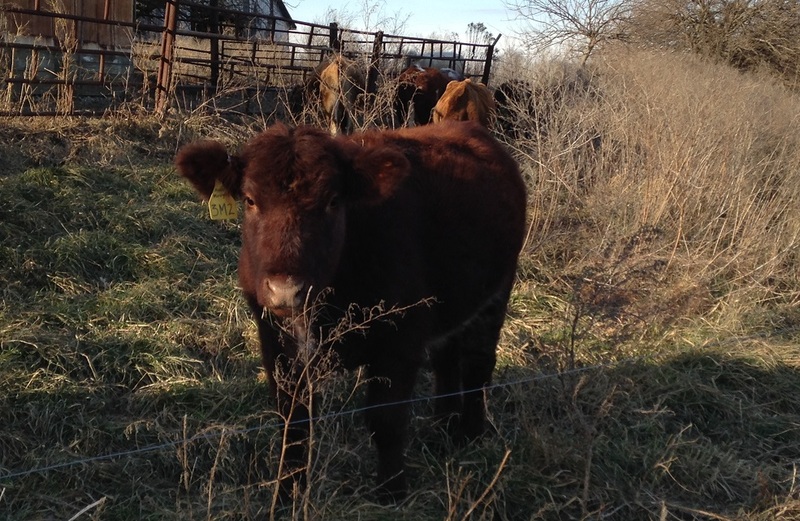 So…to sum it up…my cows like eating grass and I like to shovel manure. And today would have been awful if dad hadn’t shown up to help. The end. Better phone Detroit’s Emmy award winning news anchor Robbie Timmons and see if she wants to write a book about your Princess (or Prince?) Twoey who apparently lives in a castle with 1,500 thread count bedding! Robbie wrote a book based on the true story of a racehorse called “Twoey and the Goat” your family might enjoy. Will you use this same tractor to clean out the bedding pack in the spring? And will you stick it in a manure spreader to distribute it on the pastures, or compost it further first? That tractor won’t fit in the barn. I’ll have to use a bobcat. I plan to run pigs through that barn this spring, pile all accumulated bedding up in May and spread it in mid to late June. oh pigs in the bedding to loosen the pack- genius. Wonder if I could get our pig herd in the duck barn while the ducks are out during the day, and back out again… oh a bobcat- such a dreamy little machine beast! Someday I will have one.